NYC, 02/12/2019, 12:00PM. 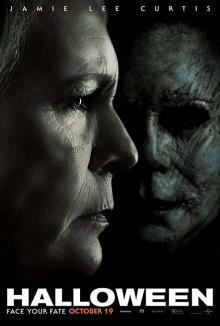 Halloween (2018): Evil has a destiny. 106 min. Director: David Gordon Green. Starring Jamie Lee Curtis, Judy Greer, Andi Matichak. Halloween has grossed $159.3 million in the United States and Canada, and $94.3 million in other territories, for a total worldwide gross of 253.6 million. It is the eleventh installment in the Halloween film series, and a direct sequel to the 1978 film of the same title, thus retconning the continuity of the previous sequels.